Have you noticed that using tech innovations which seemed totally impossible 10 years ago has now turned into common practice? The breakthrough of artificial intelligence in medicine and the financial sector, Internet of Things (IoT) and edge computing, round-the-clock customer support via AI-powered chatbots and personal assistants, all these things are now becoming as common as smartphones. Day by day, technologies improve the quality of our life and customer experience in particular. In 2017, we heard about the quick and steady rise of smart apps, chatbots, big data analytics, and blockchain technology. In 2018, these innovations are predicted to become the most influential software development trends across numerous industries. So here is our take on the leading trends that are shaping the tech industry this year. Last year, we saw major corporations unveiling the importance of big data along with the challenges they had regarding data analysis. Artificial intelligence is able to help prioritize information and understand unstructured data. Considering the fact that AI technology has the ability to infallibly process large amounts of new data and discover previously unseen commonalities, it can comb through information much faster than humans. Machine learning and AI technologies are more efficient than humans at processing vast amounts of data. In march 2017, Google’s AI-based program AlphaGo proved that a bot can self-learn how to defeat a professional human Go player. 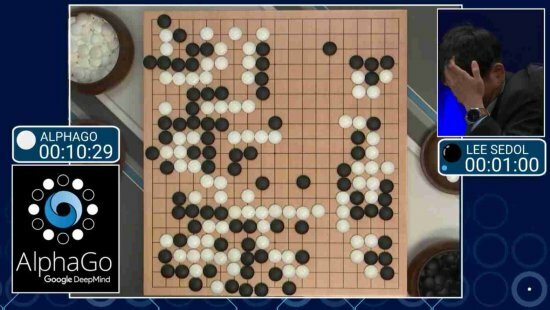 The AI-powered application beat the Go world champion, and went on to win 60 games versus best human players. Google’s artificial intelligence “invention” learned to be a better Go player without any human help. Without using human data, it learned only by itself – from self-play. If we compare AI progress to the evolution of the human brain, we’ll see the impact it has on the society (and customers’ behaviour in terms of marketing). Messaging-based apps like chatbots and virtual assistants open new service delivery channels. Conversational AI platforms are already now helping some governmental institutions to serve their citizens better (example below). Since 2017, chatbots and personal assistants are officially out there. Nevertheless, we should expect an increase in the implementation of these technologies in our daily lives. Gartner survey suggests government organizations are going to quickly establish the role of chatbots and virtual assistants and enhance digital platforms with smart technologies. 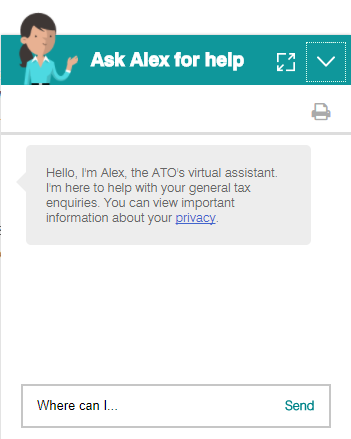 To help support general taxation enquiries, the Australian Taxation Office has already launched a virtual assistant Alex. This chatbot solution is based on AI technologies that enable interactive and intuitive style of conversation. The rising interest in the development of intelligent personal assistants and chatbots is stimulated by the ease of creating them. The companies no longer need to develop chatbots from scratch, but rather use existing APIs. Mainly due to Facebook’s Messenger platform, the barrier to creating a chatbot was drastically reduced. Messenger is leading the way, topping 1 billion users; developers have already created 100,000 chatbots for this platform. Another big player here is Amazon with its Alexa virtual assistant which became a leading platform for intelligent voice apps. In just one year, the number of “skills” has grown from 5,000 to 25,000. The omnipresence of mobile devices and the rise of affordable VR headsets like Google Cardboard, Samsung Gear VR, HTC Vive, and Oculus Rift suggests that virtual reality apps have already made their way to many industries. Nevertheless, all of these platforms are making big moves to expand the market in 2018. VR creates lasting impressions by affecting both intellectual and emotional levels, and that’s why it needs killer content. And for a truly immersive experience, all content elements should be rendered perfectly. As our predictions concerning VR came true and it started going mainstream last year, Oculus Rift and the HTC Vive were the leaders in 2017, selling around 1 million of units each. Industry experts anticipate that more high-end VR systems will appear in 2018. However, to really go mainstream, VR hardware still needs to feature lower prices, better gear, and more appealing content. IoT makes it possible to connect countless devices via the Internet or a local network. IoT development companies build software to gather and analyze data based on users’ habits and preferences. This is where IoT, big data science, and AI get interconnected to help companies predict the direction of their future apps and services. Even though IoT wearable devices attract the most attention, they are only a niche in the huge ecosystem of “intelligent things”. Nearly everything from smart homes, cars and roads to coffee machines and microwaves is turning into a huge data-collecting network. 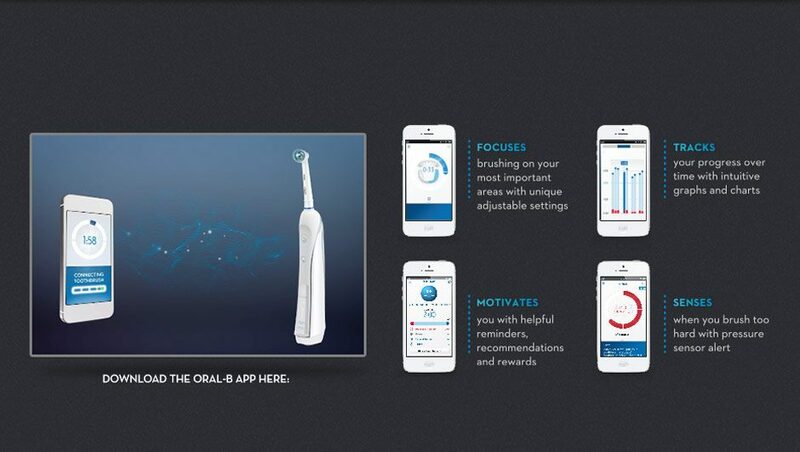 Techcrunch reported that even a toothbrush is now capable of collecting and sharing data about the user’s brushing behaviour to ensure better dental health. Gartner estimated that over 8.4 billion of “things” would be on the network in 2017, which is 30% more from just a year before. According to forecasts, by 2020, the expenditures on similar services will have increased to $481.8 billion which is around 13% of total IT spending worldwide. Nevertheless, after a couple of false starts in past years, in 2018, the Internet of Things is set to be one of the hottest trends in the tech world. Still the Key to Success?